Four on the floor. This is what you call the steady kick drum pulse that has acted as the "rhythmic glue" in popular music for the last 100 years. 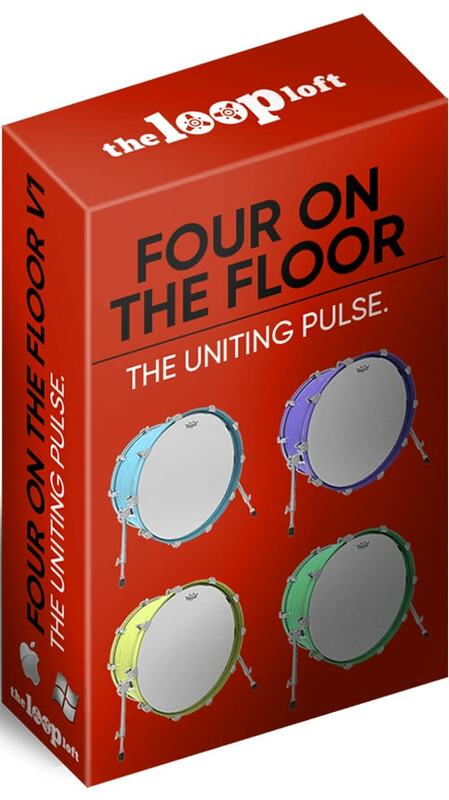 From early jazz, to r&b, funk, pop, and EDM, all four on the floor drum grooves have the same thing in common: They have a hypnotic effect that connects directly with the listener's heartbeat. Ready for bigger than life beats? 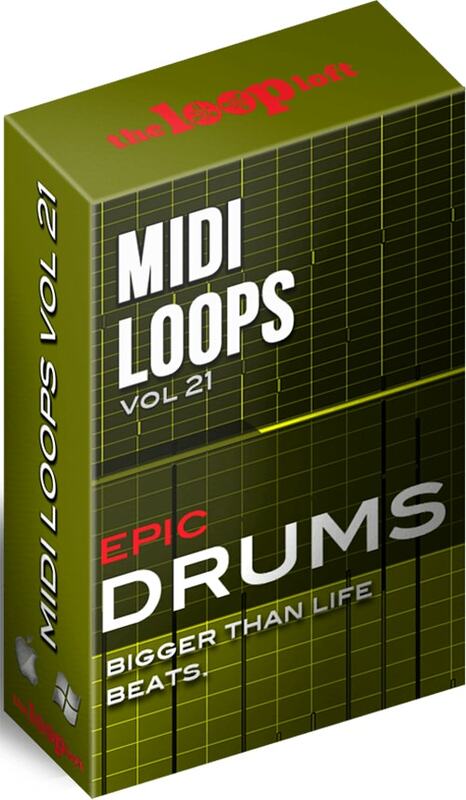 Epic Drums Vol 1 is the most dynamic and "powerful" collection of MIDI drum loops we've ever produced. With a focus on dynamics, extreme builds and heavy grooves, this collections is great for both cinematic projects and composers looking to add "bigger" drums to their songs. 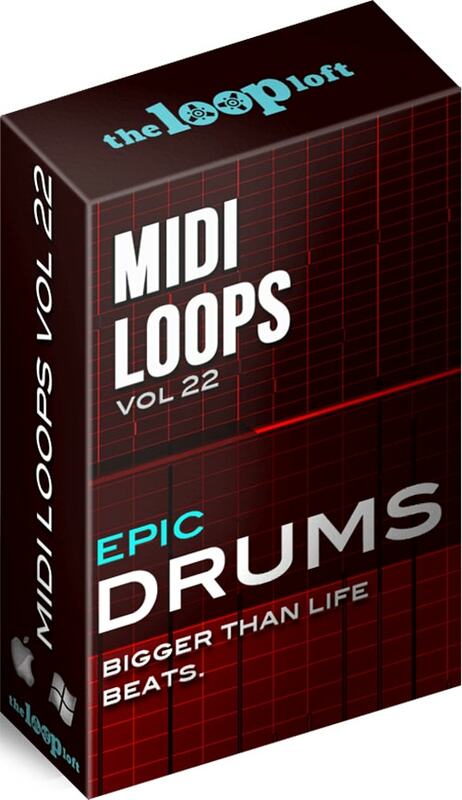 If you've been searching for MIDI drum loops with huge dynamics, powerful grooves and inspiring articulation, Epic Drums Vol 2 is the collection for you. 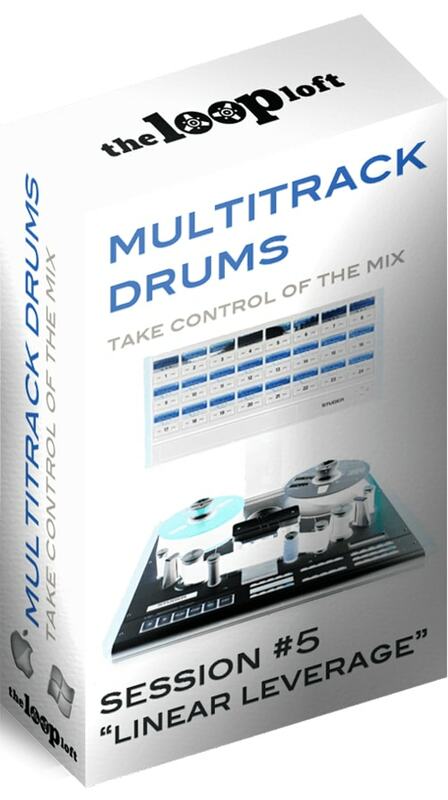 Just drag and drop into any DAW and instantly bring life, emotion and drama to your drum tracks. Our first Multitrack Session is "Earthy Pop", a full arrangement of organic sounding drum tracks that will instantly bring a big, warm and rock solid rhythmic foundation to your production. 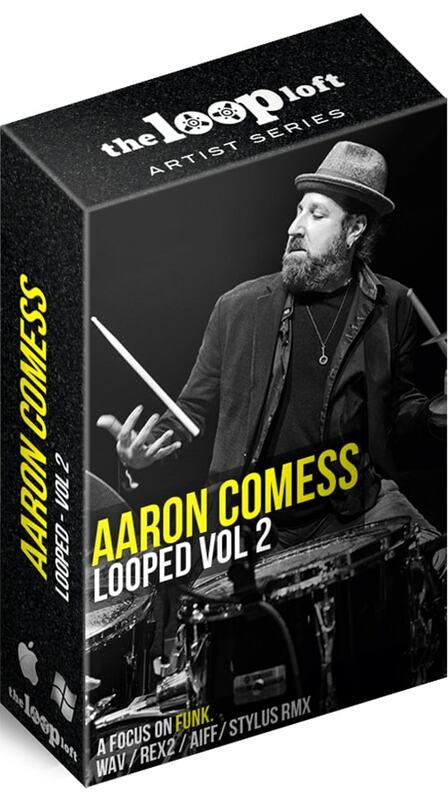 Recorded on a USA Custom Gretsch kit along with vintage, hand hammered cymbals, the Earthy Pop drum session gives you a wide range of groove and arrangement options. 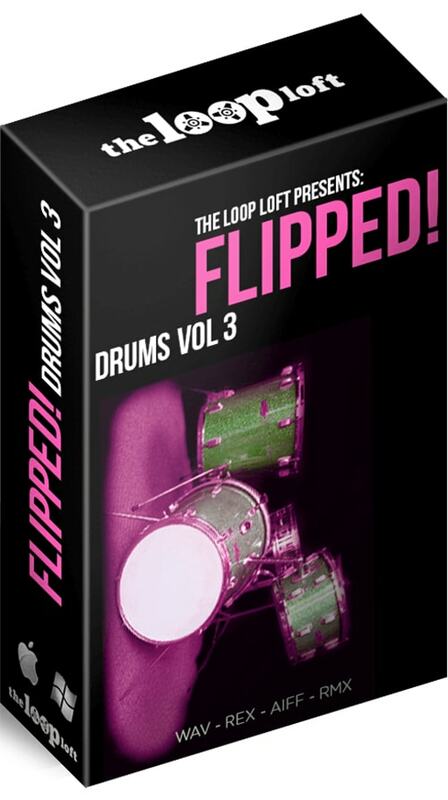 From crisp crosssticks to sloshy hi hats to tribal tom grooves, this session gives you total control over every nuance of the drum sound AND the arrangement, all with the feel of a seasoned session drummer. 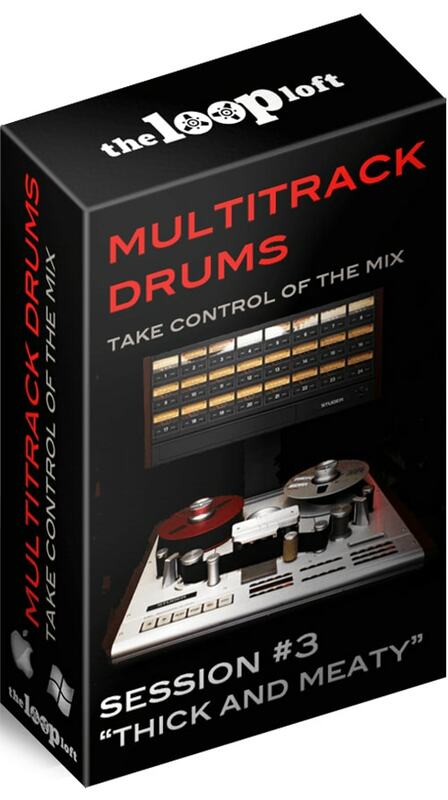 Just like the name implies, the Thick and Meaty Multitrack Sessions are loaded with drums that give you plenty to chew on... and more. Using one of our beloved birch studio kits, we slapped on some extra-punchy Remo Pinstripe heads and pulled out our ultra-aggressive brass snare drum, all to give you a sound that is fat, juicy and totally in your face. Along with all of the individual drum tracks, we also captured the room sound on a separate channel, putting an even bigger (and natural) sound at your disposal. Just adjust the faders and mix to taste! Take the melodic mallet drumming of Art Blakey, combine it with warm brush strokes of Philly Joe Jones and mix it together with some 21st century backbeats, and you get our latest Multitrack Drums release, "Felt and Wires". Consisting of six individual channels of drum set mics along with 4 channels of percussion, this collection gives you complete control over a very orchestral, dynamic and ethereal sounding session that will appeal to film scorers, songwriters and instrumental composers alike. 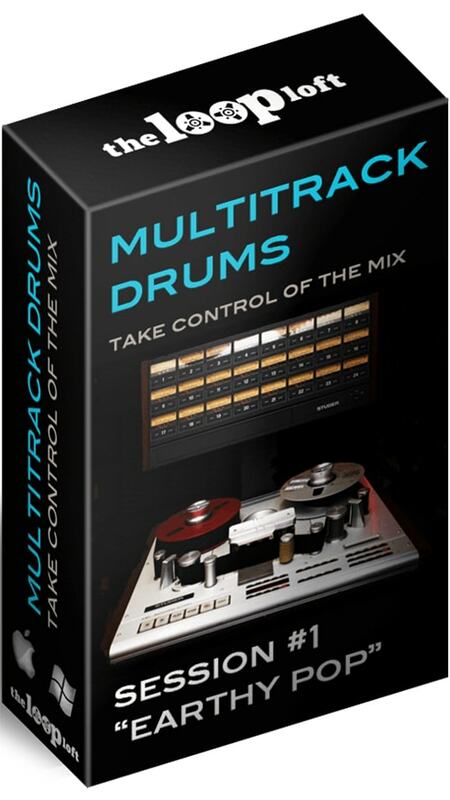 Our fifth Multitrack Drum Session release delves into the unique style of "linear drumming". This is a conceptual approach to playing where no two limbs hit at the same time, resulting in an intricate, yet musical flow broken up between the kick, snare and hi hat. This refreshing break from the traditional, steady 8th note approach to pop rock drumming was made famous by Steve Gadd on Paul Simon's 1975 hit "50 Ways To Leave Your Lover". The Linear Leverage Multitrack Drum Session expands on those grooves even further, mixing in funky ride patterns, melodic tom breaks and an assortment of percussion tracks to seamlessly layer into your own multitrack production.